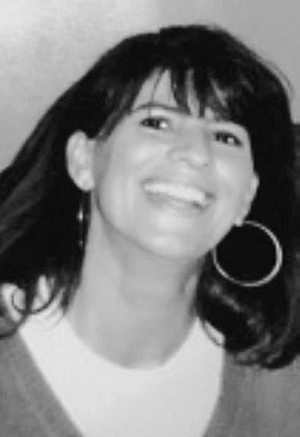 DURHAM – Patsy M. Smith, 51, passed away after going toe to toe with cancer on Wednesday, March 20, 2019.She was born in Lewiston, at St. Mary’s General Hospital on Sept. 8, 1967 to Theresa Lemieux and Walter Charles Lane. Patsy graduated from Pine Forest Senior High School in Fayetteville, N.C. and later in life, went on to earn her bachelor’s degree at the University of South Carolina. She found her passion in teaching and was innovative in the way she engaged students and transformed how they viewed mathematics. Patsy continues to receive letters from students thanking her for the impact that she had on their lives. In addition to teaching at Durham Community School, Patsy was the math team coach and cheerleading coach.Patsy was an intelligent, selfless, beautiful woman. She had a joke-worthy love for 70s tunes and romantic movies. Patsy was a proud mother to her daughter, loving partner to her fiancé, and valued the relationship with her caring sister.She is survived by her fiancé, Michael Copp of Durham; daughter, Courtnie Smith of Columbia, S.C.; sister, Lisa Marquez of Rock Hill, S.C.; mother, Theresa Lemieux of Lewiston.She is predeceased by her great-grandparents; grandparents; former mother-in-law; aunts and uncles.Patsy will be greatly missed by all who knew her, but will remain in our hearts and memories, until we meet again.There will be a Celebration of Life service in May. A reminder, including a date/time/location, will be printed soon.